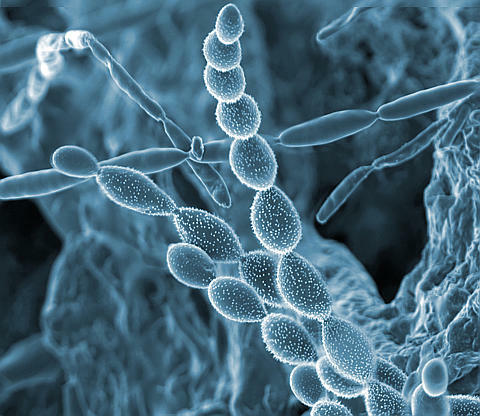 A microbial community, or microbiome, in the rhizosphere, the area surrounding plant roots. This image was taken with a scanning electron microscope at EMSL, a national scientific user facility located at PNNL. Image by Alice Dohnalkova. Enlarge Image. To jump start research and get to the bottom of microbiome function and properties, a consortium of eminent U.S. scientists have proposed an interdisciplinary, unified program to learn more about these little-understood powerhouses of our world. By doing so, they hope to harness these communities of microorganisms that live in nearly every habitat and organism on earth and ultimately launch innovations in agriculture, energy, health, the environment, and more. Members of the Unified Microbiome Initiative Consortium describe the Unified Microbiome Initiative (UMI), in the October 28 online edition of Science, in "A unified initiative to harness Earth's microbiomes." Pacific Northwest National Laboratory plays a key role in this new initiative as well as in the Consortium. 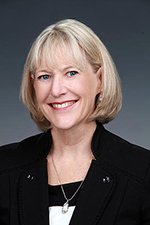 Janet Jansson, chief scientist for biology at PNNL, is one of the Consortium's founding members, and a co-author of the Science Perspectives article. The Consortium has its roots in meetings organized by both the White House Office of Science and Technology Policy and The Kavli Foundation of Oxnard, California that gathered scientists to exchange ideas that were critical to developing the vision of the initiative. Jansson was one of the original participants. Currently, the Consortium consists of 48 scientists from various scientific fields at national labs and universities across the U.S. who want the UMI to provide scientific insights, technological advances, and economic opportunities of lasting benefit to future generations. Among them are PNNL Chemical Imaging Initiative lead Nigel Browning and Ljiljana Paša-Tolic, lead scientist for mass spectrometry at EMSL. "The UMI highlights the need for new imaging and omics technologies, such as those currently being developed at PNNL, to understand how microbes function and interact in complex environments and how they are impacted by climate change and other perturbations," said Jansson, who also leads the Microbiomes in Transition initiative at PNNL. The Science Perspectives article highlights an image of a Shewanella oneidensis community with electron-conducting protein nanowires taken at EMSL. Nearly every habitat and organism on earth contains a diverse collection of microorganisms called the microbiome. These communities play important roles in our world, among them carbon and nutrient cycling, pollutant degradation, plant growth promotion, and cause and prevention of disease. But very little is known about microbiome properties. And the more that is known about them, the more opportunity there is to use microbiomes in a beneficial way.